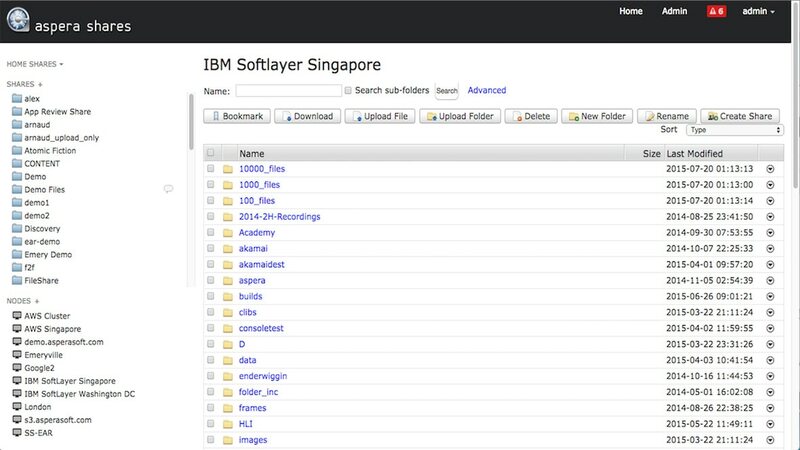 IBM® Aspera® Shares is a simple, intuitive web application that enables globally dispersed internal and external users to quickly share large files and whole directories in data centers located worldwide. It provides secure access to a consolidated directory view with a single web interface for all available data content stored on multiple server nodes across diverse infrastructures, including enterprise datacenters, public clouds and private clouds. Enables robust control over the configuration settings for different Shares, directories and files. Uses the patented Fast, Adaptive, Secure Protocol (FASP) transport technology to share large files and whole directories.